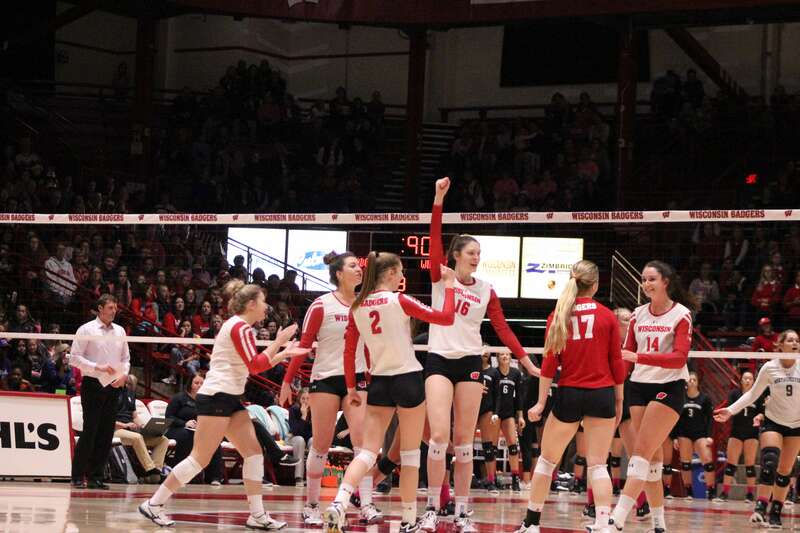 Following the spring season opener win over the University of Wisconsin-Green Bay, the UW-Madison volleyball team will take on the Marquette Golden Eagles Friday night. The match will take place at the Milwaukee Sting Center. Only the first 1,000 fans will be admitted. 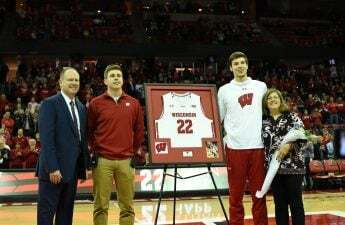 The Badgers visited Marquette last September in Milwaukee and swept the Golden Eagles. Outside hitter Madison Duello led Wisconsin to the sweep with 14 kills at a .591 hitting percentage. Middle blocker Dana Rettke led the defensive charge with eight of the Badgers’ nine blocks. Marquette finished with a lowly .118 hitting percentage. While normally seen as foes, the relationship between Wisconsin and Marquette is far from a rivalry. Wisconsin has won all 20 matchups between the two clubs. Marquette returns with 6-foot-5 outside hitter Allie Barber, who snatched an American Volleyball Coaches Association Second-Team All-American honor. She finished last season as the only Division 1 player to record at least 500 kills while retaining a .350 or higher hitting percentage. Wisconsin matches Barber with three AVCA All-Americans: Rettke, Duello and setter Sydney Hilley. Both Tiffany Clark of Wisconsin and Martha Konovodoff of Marquette earned AVCA honorable mentions as their teams’ respective liberos. Both the Badgers and the Golden Eagles fell at the hands of the Illinois Fighting Illini in the NCAA National Tournament. Marquette fell in the sweet sixteen while the Badgers were bested one round later in the elite eight. Illinois’ Jacqueline Quade dismantled both defenses with double-digit kills in both contests. The similarities are prevalent, but Rettke poses a major threat with the departure of Marquette’s 6-foot-6 redshirt senior Jenna Rosenthal. In their September matchup, Rettke posted only eight kills—tied for her second-lowest mark of the season. With Rosenthal graduated, Rettke can expect more opportunities with such size and experience leaving. 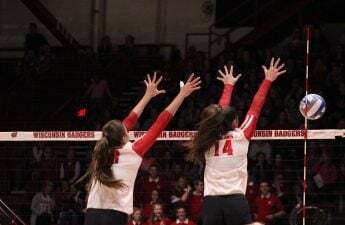 After losing senior Tiona Williams last year, Wisconsin will look to work several options at middle blocker to see who will serve as Rettke’s complement. Though right now, Danielle Hart is expected to take the brunt of the playing time opposite of Rettke. A solid performance could all but confirm her spot in the starting lineup. Tuesday night, Wisconsin backup libero Sarah Dodd announced via Instagram that she tore her anterior cruciate ligament and will miss significant time. Dodd played in 22 games last season and sparked a run at the service line against Illinois in October. While Dodd doesn’t have gaudy stats, she left her mark on various Badger contests last fall. Doors open at 6:15 p.m. at the Milwaukee Sting Center for the Badgers’ second of three spring contests. Wisconsin closes its spring slate April 20 against the Purdue Boilermakers in West Lafayette, Indiana.